The Clos Windsbuhl is located on an old sedimentary limestone from the secondary period. Higher in altitude, touching the forest, it also enjoys a late ripening climate. In 2016, this vineyard was harvested four weeks after the Brand in Turckheim! It is difficult to understand how the soil composition influences eventually the character of a wine, but experience shows that the magnesium rich soil brings a certain ‘grainy’ element to the structure and also a sapid acidity that can occasionally cause the fermentation to stop earlier. 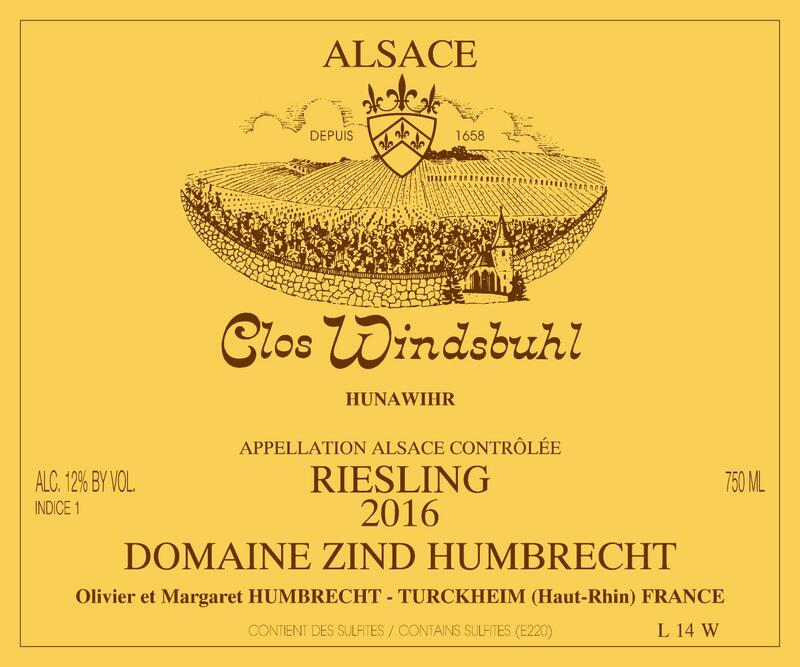 This wasn’t the case in 2016, the Riesling Cos Windsbuhl 2016 tastes very dry! 2/2018: pale yellow green colour. The nose is discreet and takes time to open up, eventually showing complex fresh citrus and hints of toasty aromas. It feels tight and on its reserve, but it is easy to sense that there is a great potential in this wine. The palate shows a delicate fresh structure, with a very salivating and juicy finish. This wine feels very dry, the acidity is complex and brings a strong sense of elegance. Some people would say it is an ‘aristocratic’ wine! As it evolves so slowly in the glass (no change after 6 hours), I would guess that this wine will keep for a very long time.